Tannu Tuva Initiative | Markets. Economics. Society. This post was written 6 months ago, but never published because I never quite felt like it was “ready.” The post is inspired by my quest over the past three years to value Bitcoin from a first principles approach. As you can see, I’m still lost. Sometimes I tell people that I think of Bitcoin as religion. They laugh because they think I’m poking fun at Bitcoin “maximalists.” I smile so that they don’t think I’m crazy. 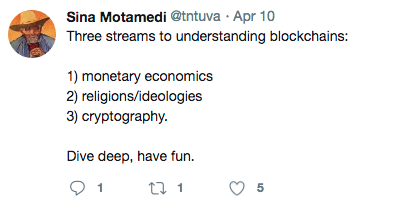 But I really think that you should take the idea of Bitcoin as religion very seriously. If you prefer the phrasing “ideological movement”, go with that. The point is all the same. I used to believe that Bitcoin, in its strictest form, was doomed to fail because of its fixed money supply — which is, in my view, extremely sub-optimal. I no longer believe this. I do still believe that Bitcoin’s monetary policy is inherently flawed, but I no longer believe that this flaw guarantees it cannot win in the end. Why did I change my mind? By taking the idea of Bitcoin as religion very seriously. I see now that Bitcoin is very much a religious/ideological movement. Religions are very real things and have real world consequences, and it is important to understand them even if you yourself are a non-believer. Money is pure network effect. A collective myth in the words of Yuval Harari, or what Ben Graham calls a Class 2 truth. It matters what other people think it’s worth. In fact, it only matters what other people think it’s worth. This is the natural ideology that all money has. Such a natural ideology is attached to money—any successful money—because no money without such ideology would ever have been successful and be deserving of the name money. If that sounds tautological, it’s because it is. And that’s because, as I’ve said, money is a pure network effect — a Class 2 truth. People think that money is money because people think money is money. Once you fully grasp this idea, it should not be surprising that a large ideological movement would form around money—at least, successful money. Money is about the spread of ideas as much as anything else. If you follow the Bitcoin community, you will often hear Satoshi Nakamoto referred to in near-prophet status. I don’t even want to cherry pick examples here because that would be extremely unfair to those I quote. Just go and look for yourself. The fact that no one really knows who Satoshi Nakamoto is, is just perfect for perpetuating the prophet idea. 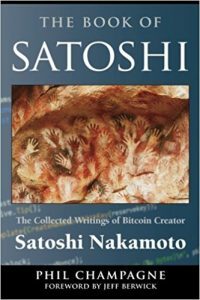 And if Satoshi is prophet, then the Bitcoin whitepaper is sacred text, and believers will want to carry that sacred text wherever they go! But of course, there is more than just the “main” sacred text: any words ever uttered by the Prophet should be thoroughly reviewed for direction, clarification, wisdom, and insight. 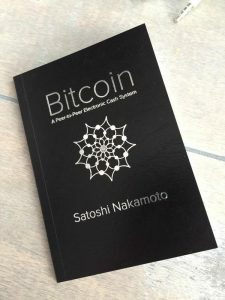 And so we have The Book of Satoshi, a compilation of all of his online posts! I don’t know. Maybe it’s all hearsay. How pervasive is Bitcoin religiosity? Let’s say Bitcoin is indeed religious. Then we might expect it to propagate in a way similar to other religions. What can we learn from the success (and failure) of other ideologies? 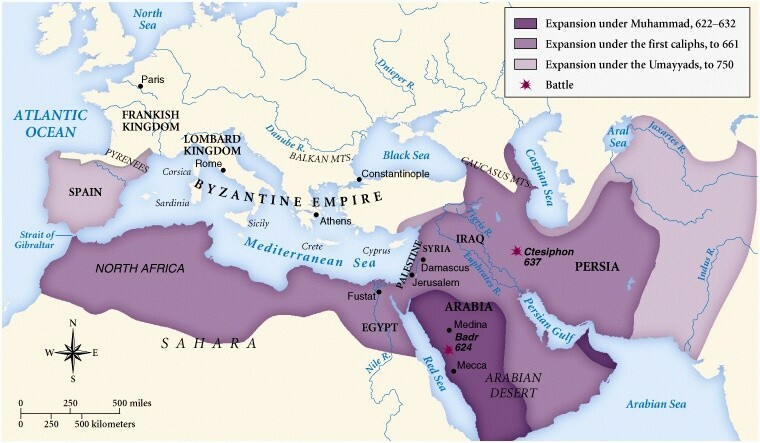 You can see that early Christianity spread along trade routes — seeding at port towns around the Mediterranean. Buddhist monks were/are very frugal which makes them very adept at travelling long journeys. The spread of early Communism was less about trade and more about military conquest (in Europe in WW2). During the Cold War, mass media and telecommunications allowed Communism to pop up on the other side of the globe. The map is showing locations that “accept” Bitcoin. Of course, this is all wrong. It is probably not the right way to measure the “spread” of Bitcoin — especially as a religion. So the question remains: What does the spread of Bitcoin look like? How is it spreading? What, yes what, is the topology over which Bitcoin is spreading? This is not a rhetorical question. Ideologies take on a life of their own. The next question is: why do successful ideologies succeed? Why do failed ideologies fail? Bitcoin is, indeed, a very powerful idea: hard money through cryptography and game theory. The politics around it are very compelling to a lot of people. Can that persist and grow? Like all religions, Bitcoin has warring factions within it with opposing ideological beliefs, and these disputes eventually result in schisms. I have affectionately called this fork the Great Bitcoin Schism. The schism revolved around exactly howvBitcoin should be scaled. Bitcoin Core has pointed to the coming of Layer 2 solutions like Lightning, while Bitcoin Cash thinks that scaling should happen on-chain (Layer 1). Fights over what is the “real Bitcoin” ensued. I’m exhausted just talking about it. The one important thing to understand about schisms is: they are irreversible. I cannot find one example in history where two factions reunited after a schism. This does not end in reconciliation. Instead, you have to ask: which blockchain has the best ideology? Which branch will outlast the other? This is another serious question. One point I will make: I get the sense that Bitcoin Cash folks are underestimating how important a strong, seductive ideology is. How can you back your pure network effect money without some sort of strong, seductive ideology? We can’t stop there: Bitcoin isn’t spreading in a vacuum. Institutions linger. 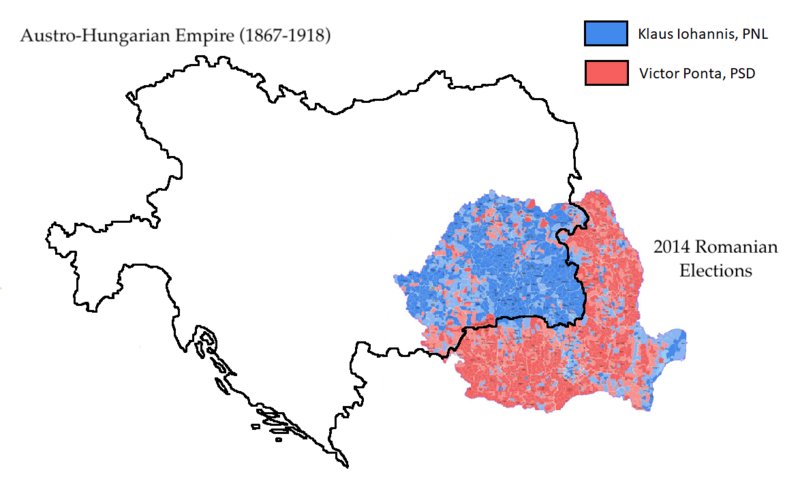 Here is the border of the Austro-Hungarian Empire (1867-1918) overlapping with the results of the 2014 presidential elections in Romania. 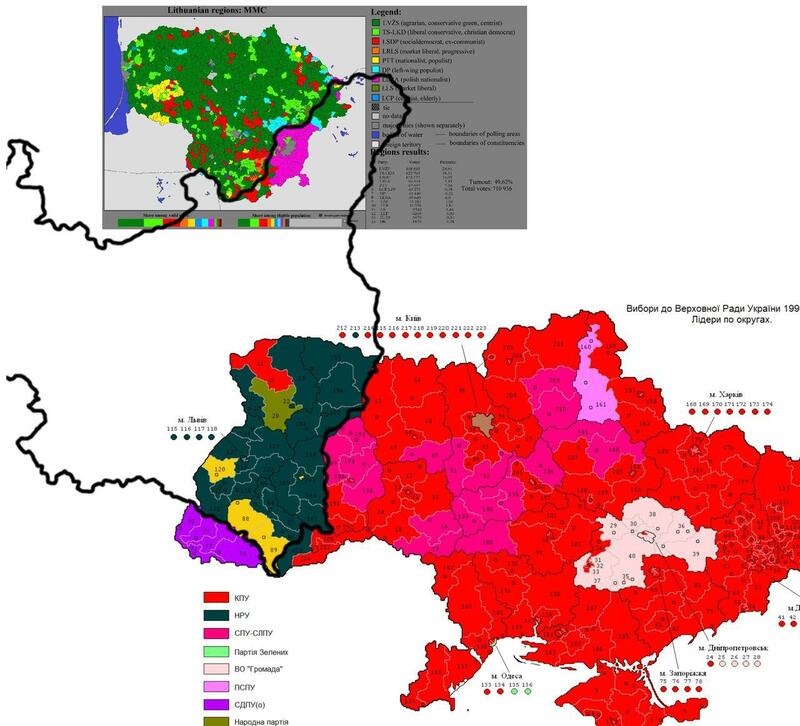 And here is a similar map showing the border of the Second Polish Republic (1918–1939) superimposed on the electoral results in Ukraine (south) and Lithuania (north). Ideologies and religions are closely tied to law, politics, and institutions. It used to be, and is still the case in many places today, that there was no distinguishing between the law and religion: religion is law; that’s what religion means. So politics is a natural home for religion, and religion is a natural tool used in politics. Politics, of course, is closely tied to war. It is not surprising that many religions (and not just early Islam) spread through war and conquest, and not through mere friendly missionaries. Now, laws are housed in political institutions and the central bank is one such institution. I have always argued that a central bank has the power to create its own cryptocurrency, if it is willing, by simply enforcing a canonical chain. Enforce how? By making announcements, of course. The central bank does 95% of its job by spending its institutional/political/social capital. There is no need for central banks to develop blockchain technology. Central banks have no business in cryptography (god help us). This here is a war of ideology, and what central banks have is the advantage of institutional, political, and social capital. The point here is: institutions linger; they are not very liquid. Central banks are not going anywhere. Other institutions aren’t going anywhere anytime soon either. If Bitcoin fulfills its dream, there is going to have to be a struggle. Some might say a war. Where does this all leave us? This is a serious question. I don’t have much to offer you. I used to think that, because Bitcoin’s monetary policy is (in my view) sub-optimal to what currently exists, it would not win in the end. But I no longer believe this. I now believe that these two things can be independent: Bitcoin might win despite having inferior monetary policy. I mean, why not? Money is more than just monetary policy. In the ultra long-run, this thinking might be right: civilizations with superior monetary policy should be more likely to thrive, survive, and expand. But that may take a long time and, worse, be an overly simplistic assessment for such a complex adaptive system. If Bitcoin wins and maintains its fixed money supply, the world is going to become a much more volatile place. (Why? Because that is what central banks do: they stabilize.) And if you can predict how that plays out — that is, who wins the religious wars — you can make a lot of money. What are the best models for predicting the spread and competition of religions? I am not making fun of Bitcoin here. I take the idea of Bitcoin as religion very seriously, and I think you should too. What are the best models for predicting the spread of ideas? What are the best ways to assess competition between ideas? How strong is Bitcoin’s ideology? How much institutional, political and social capital do central banks really have? Are the institutions of money and law strong enough to survive in their current form? What will change and, just as important, what won’t change? Answering these questions can tell you the future. Like money, the value of a language comes from its network effect: a language is only valuable if other people use it. Language, however, is not a pure network effect: a language that only you know would still be valuable for your own note taking or record keeping, for example. But, importantly, a network effect around language is much stronger than a network effect around value (i.e. money). The spread of languages is similar to the spread of ideologies. Languages are ideas, of course, but they are not seductive, contagious, and virulent like ideologies. This means that languages travel much less easily than ideologies. 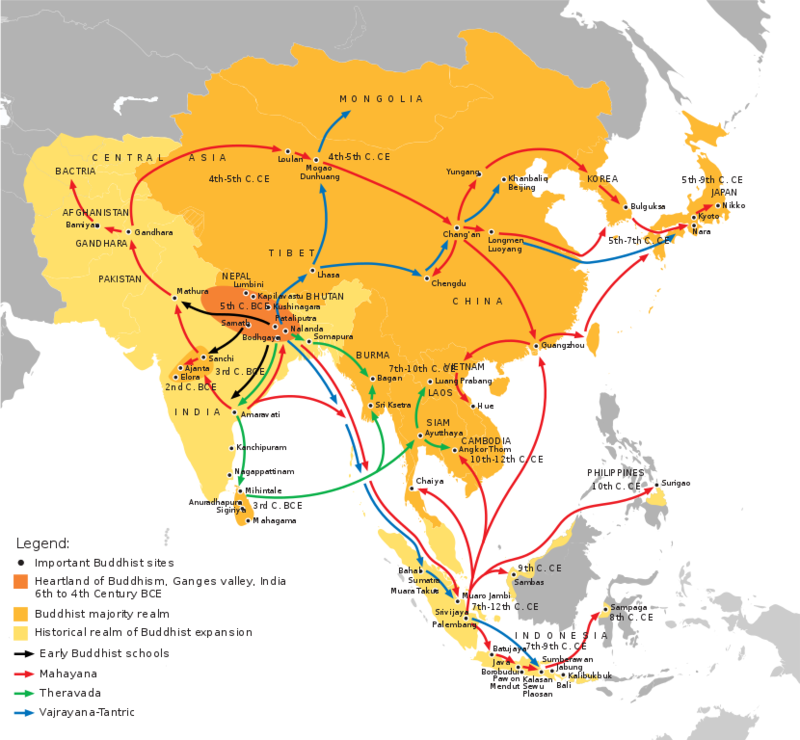 Typically, languages require entire populations to migrate in order to spread (unlike ideologies which can be spread with mere missionaries). More so than ideologies, languages need a vacuum to spread, and it is very hard for a region’s dominant language to be displaced without some sort of powerful enforcement (like armies). This is also why so many isolated language dialects form, persist, and then become languages in their own right (every Romance language is just vulgar Latin). In other words, languages mutate more quickly than they spread, and become distinguishable from their mother languages (which have also mutated) by the time they reach a new destination. I would like to point out that every theory agrees (assumes?) 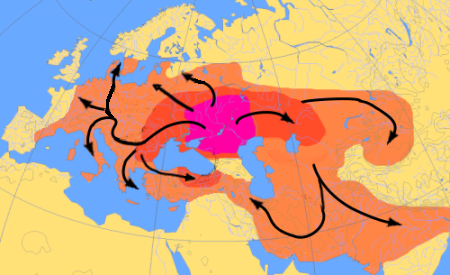 that the Indo-European languages spread through migration, on land. That’s important. Which brings us back to the question: what is the topology over which Bitcoin is spreading? TLDR: Ethical social norms solve the prisoner dilemma and other sub-optimal equilibria. This is why evolution has made humans moralistic and why ethics are very important to a well-functioning society. Don’t confuse apathy for equanimity. Ultimately, it is not rational to be apathetic. I’ve been meaning to write about my thoughts on ethics for some time now, but this past election has compelled me to sit down and finally do so. Many “rational thinkers” that I have been following seem to think that ethics are useless and/or meaningless, and that apathy is a more rational approach. You get the impression that apathy is a badge of honour to rational thinking. Nothing could be further from the truth. It’s true that equanimity is an important input for rational thinking, but be careful not to confuse apathy for equanimity. A true rational thinker should recognize that ethics are extremely important to rational thinking. I will try to explain how and why. The Nash equilibrium—what I call the “stable outcome”—of the prisoner’s dilemma is that both players lose, even though it is entirely possible for them both to win if they had strategically cooperated. (Econ wonks would say that the outcome isn’t Pareto efficient.) This is important because it demonstrates a situation where two individuals both behaving selfishly will be worse off than if they both behaved selflessly. This is not what free market ideology says is supposed to happen. Humans have evolved to follow a heuristic of selfishness—and for good reason: in most cases, behaving selfishly not only makes the individual better off, but everyone else too. Indeed, this is the standard argument in favour of free markets, and it is absolutely correct. But what the prisoner’s dilemma is showing is that the selfish heuristic has a bias in some situations which we need to watch out for. Which situations? And how can we fix it? The solution to the prisoner’s dilemma is very simple: all we have to do is convince both players to behave, in a sense, selflessly. And, thankfully, this is exactly what evolution has provided for us through ethics and social norms. Humans are naturally evolved to adopt social norms—which I like to think of as evolutionary tools for social engineering—and it is these social norms that allow humans to overcome coordination failures. What happens, exactly, to the prisoner’s dilemma when “not being selfish” becomes a social norm? The individuals are compelled to not behave selfishly, essentially removing selfishness as a strategic option, and pulling them towards the more optimal outcome where they both stand to win. Indeed, this is what I think it means to be ethical: a behaviour is ethical if, once adopted by everyone, it solves a situation resembling the prisoner’s dilemma. And to get everyone to adopt an ethical behaviour, it must become a social norm. And since there is a huge advantage to adopting ethical social norms, they have been evolutionarily rewarded. I usually refer to ethical social norms as morals. Now of course, two individuals might be able to overcome the prisoner’s dilemma on their own without the need for an ethical social norm if each person recognized their impact on the other, reasonably expected the other to as well, and were thus able to cooperate in some unspoken way (through the use of a Schelling point, for example). And sometimes, I’m sure, such cooperation occurs. At scale, however, when enough individuals are involved, behaving selfishly will always seem to be unharmful to others and not even Schelling points will save you. This is why ethics are so important: without ethical social norms, a prisoner’s dilemma involving millions of people becomes nearly impossible to overcome. Another insightful example is the ultimatum game. In that game (again, see Wikipedia), what is “rationally” expected is that the second player will accept any non-zero offer from the first player. But that doesn’t happen in real experiments with real people. Instead, the second player rejects offers that it deems unfair. But what is “unfair”? Well, that is driven by the individual’s a priori ethics. When it comes to dividing the pie, it seems that we expect people to behave ethically. As we should! Because that is, in the long-run, the rational thing to do. Ethics are closely related to what evolutionary theorists call proximate cause and ultimate cause. Proximate cause is “I eat because I am hungry”, while ultimate cause is “If I didn’t get hungry, I wouldn’t eat, I wouldn’t survive, and neither would my gene pool”. If we invoke ultimate cause, plenty of behaviour that seems irrational (locally) is actually quite rational (ultimately). Among other things, this explains morality, altruism, and ethics, and is why these traits have been so evolutionarily successful. Example: Why would someone take a small risk to prevent a stranger from getting hit by a bus? Because the tendency to care about the well-being of others, in the long-run, puts us all where we are today. Example: Why do people vote when their votes are unlikely to change the outcome? Because the tendency to vote makes our collective decisions more representative. Example: Why didn’t my neighbour rob my house when he knew I was on vacation? Why didn’t that passerby steal an apple from the fruit stand instead of paying for one? Because the tendency to respect property rights allows our trade-based society to function. Example: Why don’t people kill other people they disagree with? This one’s obvious, right? The irrational thing to think is that a person behaving ethically in any of the above examples is “irrational”. 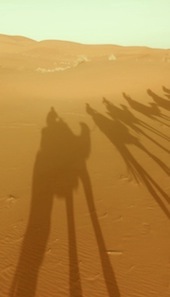 Get your head out of the sand. Here we have a prisoner’s dilemma (voter’s dilemma?) that is inherent to any democratic election. It is simply not in Voter A’s interest (locally) to vote out of concern for Voter B, and vice versa. But ultimately, it is in each of their interests: both would be much better off if both voted with concern for the other. And since voting happens at scale, this voter’s dilemma is nearly impossible to overcome without some sort of ethical social norms. And that is why, you see, it is unethical to be apathetic. Not only that, if you’re not behaving ethically, then you’re free-riding off everyone that is. I have often said that understanding society can be reduced to understanding the “initial value problem” of morality. In other words, morality plays an important part in determining where society is headed. In a sense, morality is the ultimate engineering problem. Given the morality we’ve seen in this past election, what can we say about where US society is headed? Are you apathetic and, therefore, behaving unethically?